Peace and tranquility will be yours! 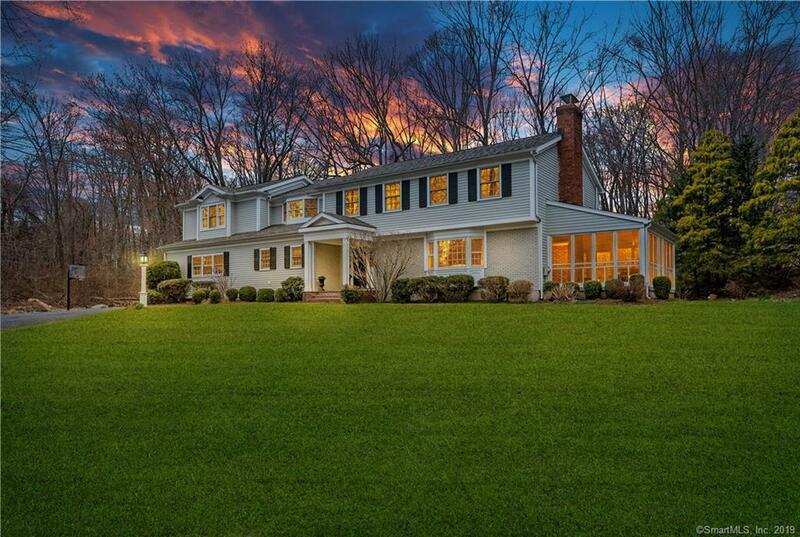 This very well cared for center hall colonial home is set on a picturesque 2.40 acres on a quiet and friendly community cul-de-sac in Greenfield Hill. House is move-in ready with a perfect floor plan for today's living. Large eat in kitchen has a center island, stainless steel appliances, and lots of natural light. This home has a Formal Living room and a Formal Dining room which leads to very large screened-in porch which is perfect for entertaining. Extra large master bedroom was an added addition to the house which created a landing area which is ideal for an office or a study station. Windows and hot water heater are newer, Furnace and Air Conditioning units are zoned. Partially finished basement has also recently been updated and functions dually as an exercise room and a play room. Conveniently located 3 miles to Stop & Shop for major grocery shopping, 2 miles to the award winning Dwight Elementary School and 5 miles from the middle and high school. Just under 4 miles to the train station servicing NYC.